Speaking as Elizabeth Warren’s fellow Oklahoman—she was born in Oklahoma City in 1949—I know the type. Oklahoma (from the Choctaw for Red People), has plenty of white people who claim to be Indians and go on and on about it. Some of them might have a small amount of Indian ancestry, but it certainly doesn’t affect their lifestyle, which is pretty much like all the other people in their social class. Add this Oklahoma Indian-wannabe mentality to dogmatic Leftism and you’ve got Senator Warren—F- immigration grade from NumbersUSA, like every last one of her colleagues in the appalling Massachusetts congressional delegation. Notoriously, the much-awaited results of Senator Elizabeth Warren’s DNA tests suggested the whopping total of her American Indian ancestry is some quantity between 1/64 and 1/1,024—a minuscule amount. Maybe, as she claims, she never benefitted professionally from her “Indian identity” (hard to prove or disprove) but she has definitely used it to raise her profile. After all, you don’t hear her going on about her 99% white heritage, which seems to be mostly English. But then, English ancestry is the least “exotic” ancestry you can have in the United States, which is why it’s grossly under-reported and under-estimated. A DNA test is useless to determine tribal citizenship. Current DNA tests do not even distinguish whether a person’s ancestors were indigenous to North or South America. Sovereign tribal nations set their own legal requirements for citizenship, and while DNA tests can be used to determine lineage, such as paternity to an individual, it is not evidence for tribal affiliation. Using a DNA test to lay claim to any connection to the Cherokee Nation or any tribal nation, even vaguely, is inappropriate and wrong. It makes a mockery out of DNA tests and its legitimate uses while also dishonoring legitimate tribal governments and their citizens, whose ancestors are well documented and whose heritage is proven. Senator Warren is undermining tribal interests with her continued claims of tribal heritage. Strong stuff. And not exactly the response Senator Warren was looking for when she was touting her Cherokee heritage. Applicants for citizenship in Indian tribes have to prove descent from a particular ancestor on a historical tribal roll. And it’s not just generalized American Indian ancestry, but documented descent from a particular tribe. In contrast, your typical Oklahoman, or indeed any American who claims Indian ancestry, is usually making pretty proud claims on some pretty vague evidence. And, just to toss another factor into the fire, DNA expert Roberta Estes has pointed out that, since Asiatic tribes invaded Europe in the past, some Europeans (and thus, European-Americans) may have some DNA that can be confused with that of American Indians. [Finding Native American Ethnic Results in Germanic People, DNAeXplained – Genetic Genealogy, May 21, 2014]. Just think—some white Americans who are ecstatic to find they have American Indian DNA might have actually found DNA they inherited from European ancestors who themselves inherited that Asiatic DNA upon the continent of Europe! I assume that Warren really does have a small amount of American Indian (not necessarily Cherokee) DNA. So does Roberta Estes—although she says her own family had a similar tradition about a Cherokee ancestor, which also turned out to be unverifiable [Elizabeth Warren’s Native American DNA Results: What They Mean , DNAeXplained—Genetic Genealogy, October 16, 2018). There are actually three federally-recognized Cherokee tribes in the U.S. And none of them accept Elizabeth Warren. The largest, the previously-quoted Cherokee Nation (355,000 citizens), headquartered in Tahlequah, Oklahoma. To belong to that group, you must prove ancestry from a forebear on the Dawes Rolls (1898-1907, with some added in 1914). Elizabeth Warren can’t link herself to anyone on the Dawes Rolls. Tahlequah is also the site of the headquarters of the United Keetoowah Band of Cherokee Indians (14,300 members), mostly descended from Cherokee who moved to Oklahoma before the Trail of Tears. This group has a one-quarter Cherokee blood requirement, much too high for Elizabeth Warren. Granted, there were Cherokee who, for various reasons, did not get enrolled on those historical rolls, so their descendants can’t be in the tribes. Maybe Elizabeth Warren’s ancestors were Cherokees who wanted to assimilate as whites. She doesn’t know. Oh, but wait a minute. 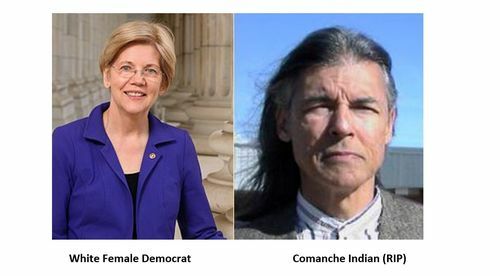 Elizabeth Warren also claims ancestry from the Delaware Indians. Delaware Nation, headquartered in Anadarko, Oklahoma, minimum blood quantum 1/8th . Delaware Tribe of Indians, headquartered in Bartlesville, Oklahoma, membership only open to those who descend from an ancestor on 1906 rolls. There are also three state-sponsored Delaware tribes, two in New Jersey and one in Delaware, and three Delaware tribes in Canada. So there are nine Delaware tribes in North America. Elizabeth Warren isn’t a part of any of them. Of course, American Indian identity, and especially the identity of a specific tribe, is not just about ancestry. It’s also about identity. If a mostly-white “Indian” identifies as an Indian, and more specifically, as a member of an Indian tribe, shouldn’t he be active in tribal life? Shouldn’t he attend tribal functions and work to contribute to his people? For example, the great John Ross (1790-1866) was the most famous Cherokee chief in American history. He was only one-eighth Cherokee and 7/8th white (mostly Scottish, as Scottish traders married into the Cherokee tribe). But Ross identified as a Cherokee and served as the Principal Chief for many difficult years. He resisted the forced relocation of the Cherokee from the Southeast to Oklahoma, but when it became inevitable he tried to make the best of it. He traveled the Trail of Tears with the other Cherokee and lost his first wife on that arduous journey. Upon their arrival to what is now Oklahoma, Ross led the Cherokee in their successful attempt to make a new life for themselves there. Later, Chief Ross had to deal with the Civil War, which divided the Cherokee people just as it did the whole country. Ross was a Unionist; his great rival Stand Watie (one quarter white) was a Confederate—in fact, the last Confederate general to surrender. In other words, John Ross was only one-eighth Cherokee by blood, but he cast his lot with the Cherokee people and, for better or worse, went through what they went through. Ross was a real Cherokee. Even Bill John Baker (photo at right, via Wikipedia), current Principal Chief of the Cherokee Nation, is only 1/32 Cherokee by blood. Note that Elizabeth Warren and multitudes of other wannabe Indians have done nothing of the sort. They just think it sounds cool to call themselves Indian—a form of virtue-signaling. But their lifestyle is white. People like Elizabeth Warren, In their great desire to join what Steve Sailer calls “The Flight from White,” are not helping real American Indian tribes, who do face many challenges. 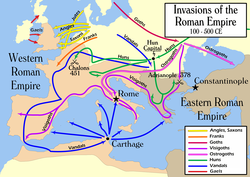 Let me point out one of particular interest to VDARE.com readers: American Indians are not helped by today’s mass immigration. Besides the ways in which it hurts Americans in general, many of today’s Latin American immigrants are of Latin American Indian extraction and are increasingly identifying as such. Thus for the first time, the 2010 Census counted “indigenous immigrants”. “Indigenous Immigrants”? Isn’t that a contradiction in terms? If they are immigrants, how can they be indigenous to our country? In the results of the 2010 census, the grouping called “Mexican American Indian” (that’s cheating, as it lumps all Mexican tribes together) counted more individuals than any single American Indian Tribe except for the Navajo. (See here, page 18). Indians from Latin America are not American Indians like the Cherokee, Delaware etc. Indians from Latin America are Latin American Indians. But how long until Mexican Indians start claiming same treaty rights as American Indian tribes? After all, radical Latinos already say that that they have the right to cross the border. That would hurt American Indians. But Elizabeth Warren supports the ongoing invasion which is going to impact all of us and put the traditional treaty rights of Indian tribe in jeopardy. High cheekbones or not, that’s Senator Warren’s true legacy for American Indians—and for all Americans. 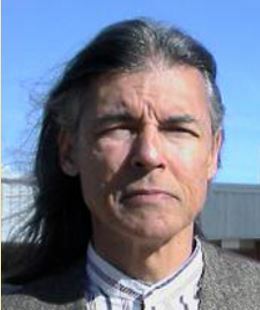 More than ever, I miss my late fellow VDARE.com contributor, Comanche immigration patriot David Yeagley. Rest in peace.